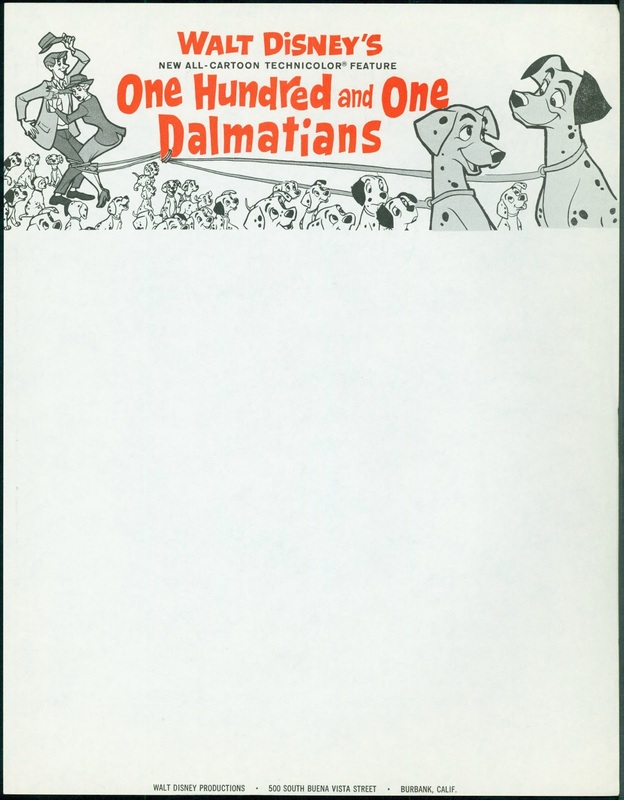 a terrific personality idea presented in clear, fresh graphic form. 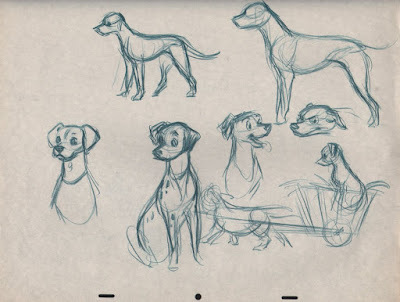 Ken Anderson came up with these character two doodles. 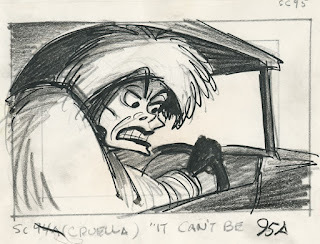 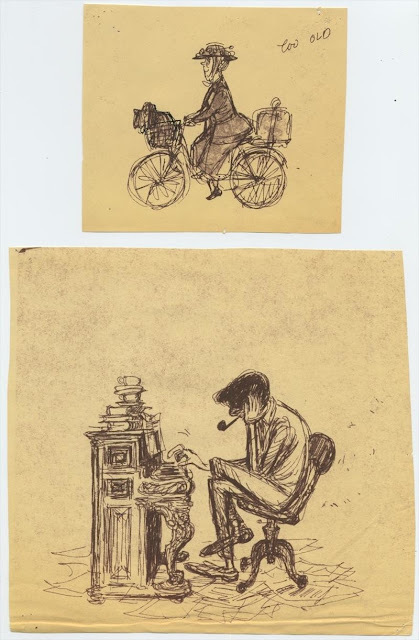 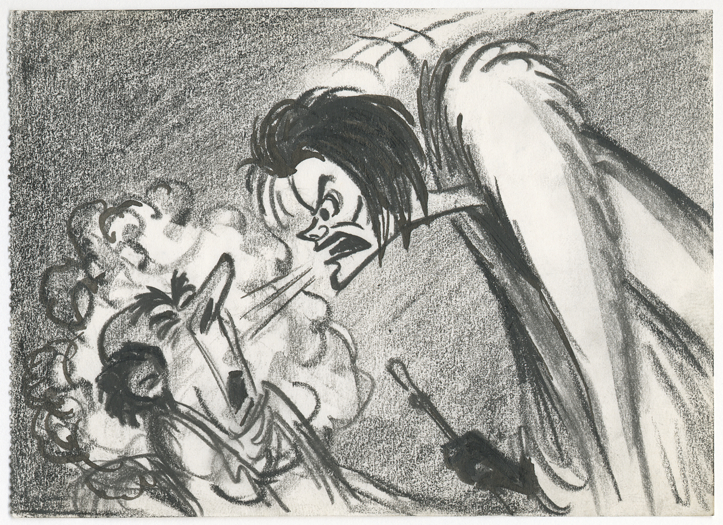 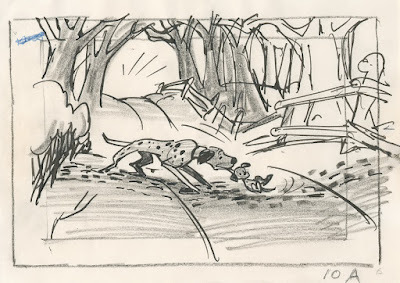 A few examples of Bill Peet's extraordinary story sketches, beautifully staged and full of personality. 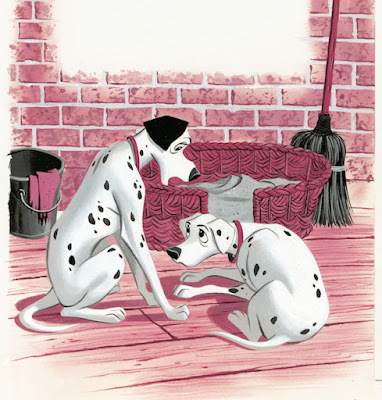 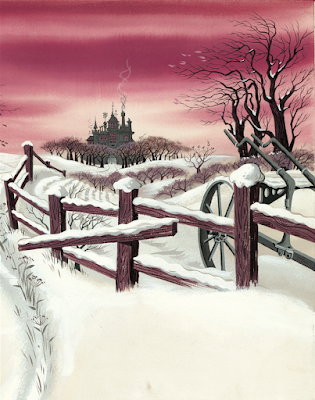 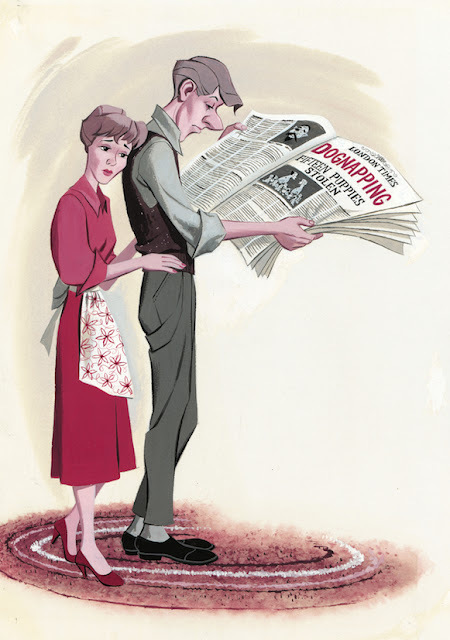 These illustrations appeared in a children's book that was published around the film's release. 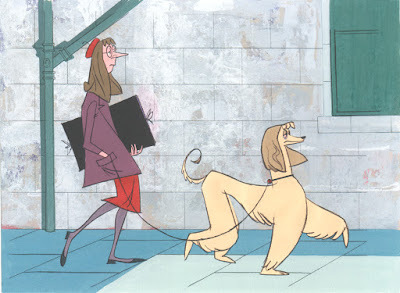 I love the restricted two-tone approach to the paintings. 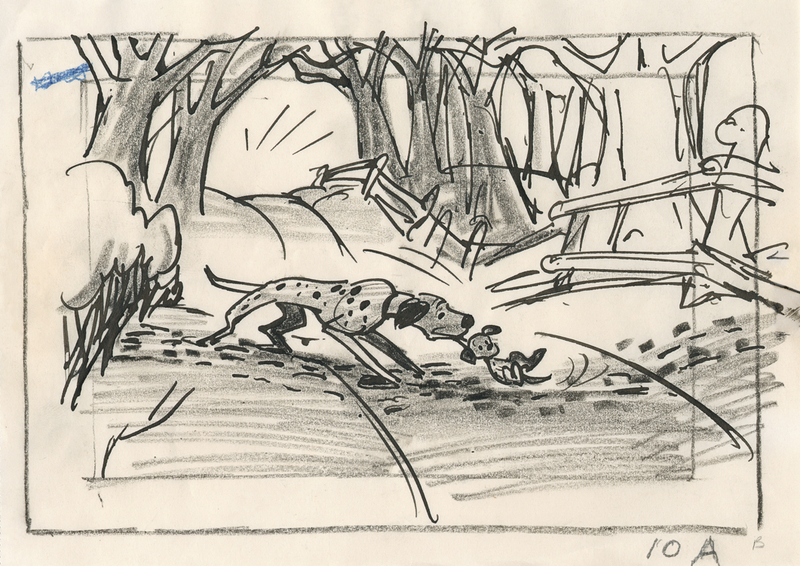 Some of Frank Thomas' early studies which show his attempt at giving human emotions to a Dalmatian. 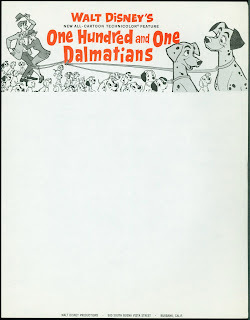 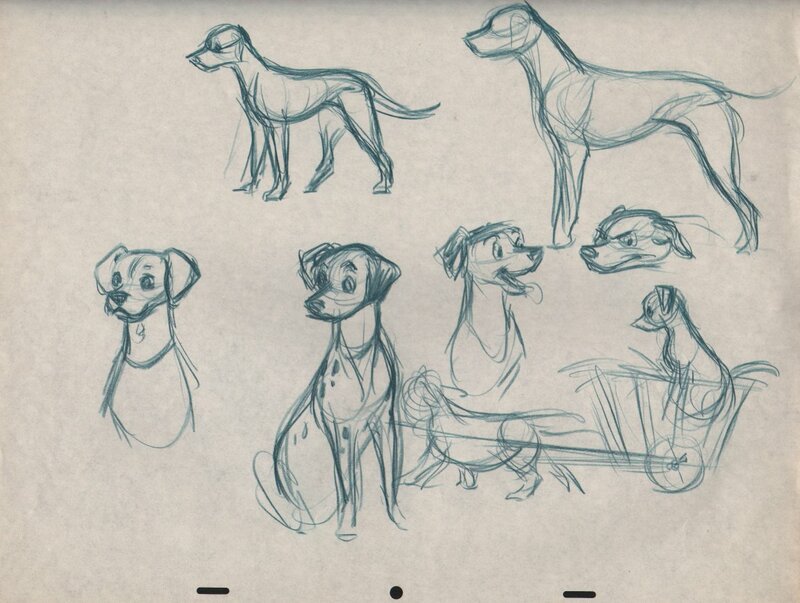 The official studio stationary which announced the arrival of a whole new (and different) Disney animated film. One of the best motion pictures ever made, in my opinion.